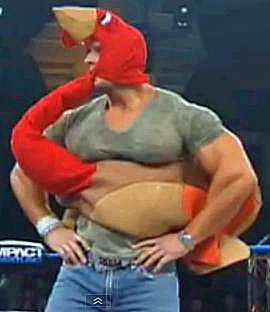 If you don't listen, Dusty will do next week's audio wearing a turkey suit! -More long diatribes about how no one in this godforsaken company knows how to dress himself. -How exactly is mental retardation supposed to be funny? -How many different ways can they come up with to end the show with a dirty finish? And a whole lot more, and it’s only going to take about an hour of your time, so you need to listen or else you’ll be the only one in neighborhood who’s not, and no one wants to be the outcast.